Microsoft's MIM is a widely used identity management platform for corporate environments. Many MIM tutorials, guides and books (including Microsoft's own site)  refer to Microsoft's sample PAM portal  to demonstrate how a request handling frontend could work. In this context, PAM stands for: "Privileged Access Management". While some of these sources make it clear that this is merely a demonstration, I can say without a doubt that there are companies that put this sample PAM portal to use in production environments. Let me restate: there are enterprises putting the sample PAM Portal into production! In short, the PAM portal allows an authenticated user to activate MIM "roles", which in turn will add groups to their account on-demand. 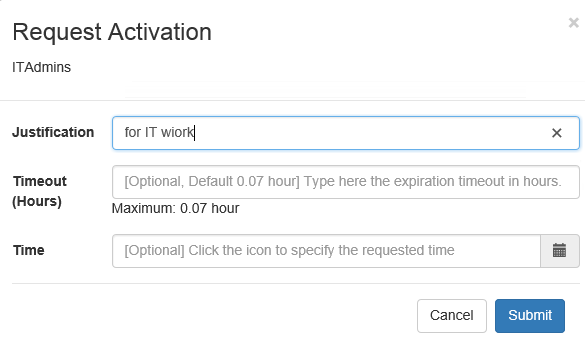 By activating a role, MIM interacts with Active Directory and adds the groups configured for the role, to the end user's account. Unfortunately the sample PAM portal is not suited for production and I suspect that it has had little scrutiny with regards to the OWASP Top 10 vulnerabilities. If we look at "Roles.js" on the Github page we see the following, where the form contents are loaded directly into a variable, without sanitation. The "createPamRequest" function is defined in "pamRestApi.js", where yet again the input is not sanitized. The XSS comes into play when browsing to the "Requests" (History) or the "Approvals" tabs of the sample PAM portal. 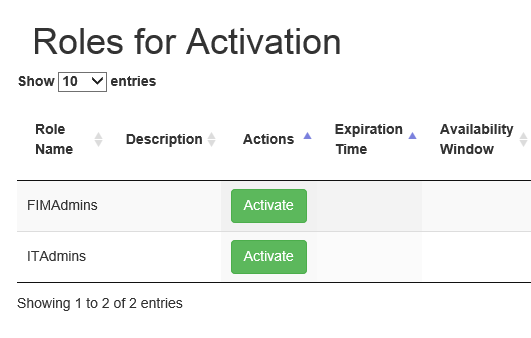 These pages respectively show the user's own history of (de)activation and other user's requests that are pending approval. After entering the code snippets above, visiting the "History" tab results in two popups: one with the short message and another one blank, as there are no cookie contents. Attacker has access to a valid Active Directory account (either stolen or their own account). Attacker requests access to a role that requires approval from a privileged administrator. Privileged administrator visits the "Approvals" tab and the shellcode is run on their computer, using their privileges. The attacker has now gained access to the privileged administrator's computer with their credentials. I have also verified this by delving directly into the database using SQL Management Studio. The relevant field in the database literally contains the user's input. There is no transcoding, no sanitation, etc. I reported these issues to Microsoft through their responsible disclosure program in December, right before the holidays. After investigating the matter internally, they have provided a fix to the sample PAM Portal. The January 2019 revision of the code is no longer suceptible to an XSS attack. Microsoft's resolution consists of hardening the coding of the PAM Portal itself: no data retrieve from the database will be interpreted as HTML. Instead it is hard-interpreted as plain text. Refer to the Github pull request chat for details. Anyone using the Microsoft MIM PAM Portal in their network should upgrade to the latest version of the project as soon as possible. Also, if you are using the Powershell command Invoke-WebRequest to access the MIM PAM REST API, you should always adding the flag -UseBasicParsing.